Award-winning filmmaker Larry Fessenden has become an indie horror legend with his idiosyncratic, genre-bending films. As a writer, producer, director, and actor, Fessenden’s oeuvre has developed a passionate fan base who applaud his realistic, character-driven horror stories. Fessenden’s films often examine the disintegration of civilization and humanity, provoking terror in the viewer through psychological dread, not gratuitous gore. 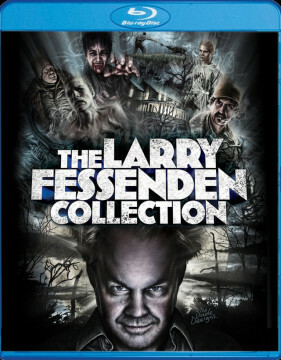 The most complete retrospective of the filmmaker’s work to date, the set also boasts a bevy of bonus content, including a 24-page booklet with liner notes by Fangoria’s Michael Gingold that includes never-before-seen photos; storyboards and sketches; new audio commentaries with Larry Fessenden, Patricia Clarkson, Jake Weber, and John Speredakos; a new interview with Larry Fessenden; making-of featurettes for No Telling, Habit, and The Last Winter; Fessenden’s short films, including the rarities White Trash and Santa Claws; Fessenden’s music videos “Save You from Yourself,” “Frankenstein Cannot be Stopped,” and “Tired of Killing Myself”; the feature-length documentary The Making of The Last Winter; behind-the-scenes featuettes; archival footage; and much more. Habit (1995): A down-on-his-luck New York bohemian meets a mysterious women at a Halloween party, believing she might be a vampire.